As a belated birthday treat, Chloe very kindly took me to Aubaine, Selfridges, for lunch on bank holiday Monday. 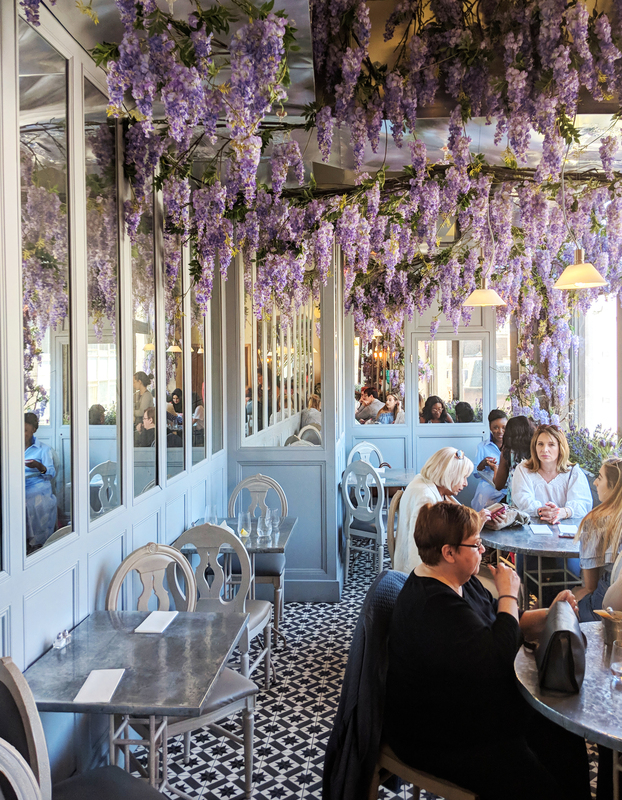 I have been meaning to try Aubaine ever since I first spotted it’s wisteria walls on Instagram. Stopping by on the hottest day of the year, meant that we were able to get a table immediately. As unfortunately you can’t book. However, we forgot to check the website beforehand, and unfortunately at this particular Aubaine, breakfast is only served until 11.30am. This meant that we had missed brunch. All was not lost though, as their lunch and dinner menu, is just as fantastic. Being a hot day, we both opted for a salad and elderflower lemonade. I chose the goats cheese salad, which came with delicious red grapes, sliced apple and sweet roasted walnuts. 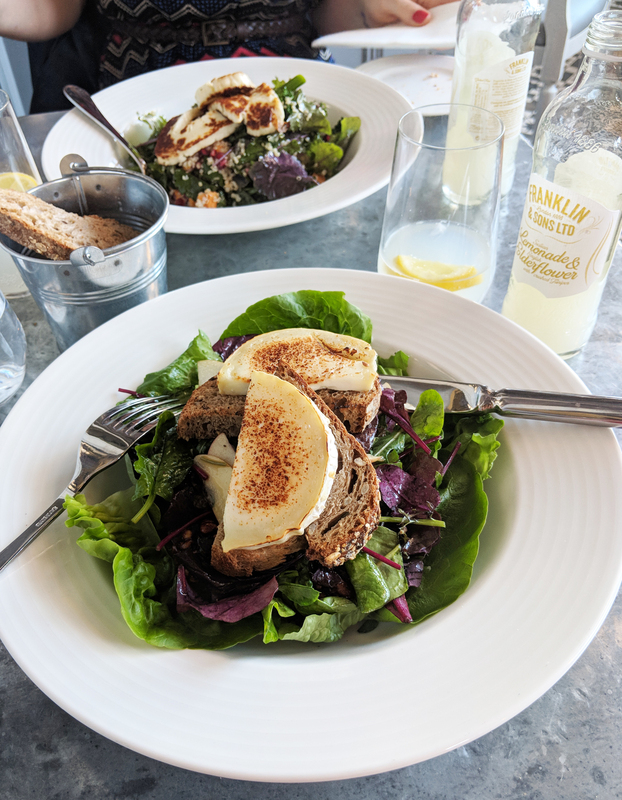 Whilst Chloe chose the superfood salad – a mix of quinoa, sweet potato and a topping of halloumi. Both salads look and tasted wonderful, and at less than £10 (Chloe had to pay extra for the halloumi), it’s not too badly priced either. Especially considering its location. 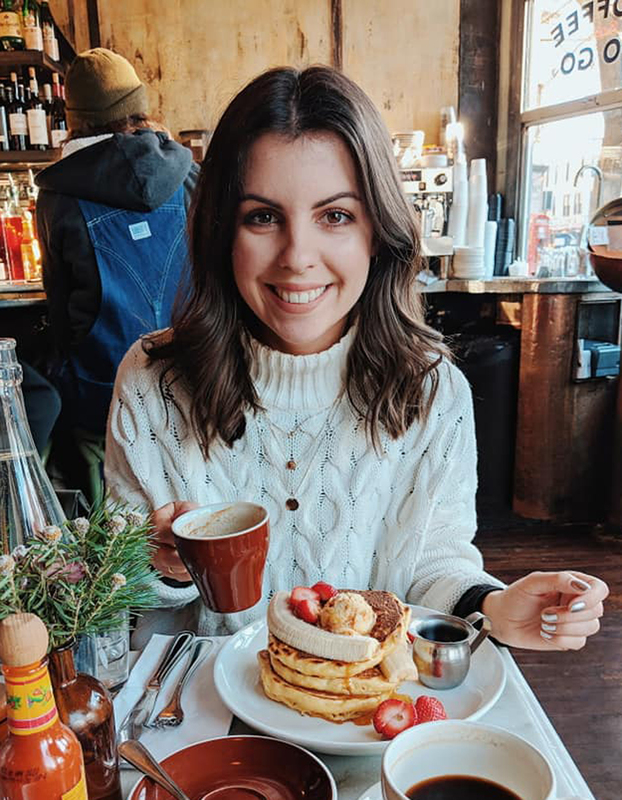 I would love to go back to try the breakfast menu, as there are some winning dishes listed, but perhaps next time I’ll try a different location. Although, I believe this is the only spot with the beautiful wisteria. 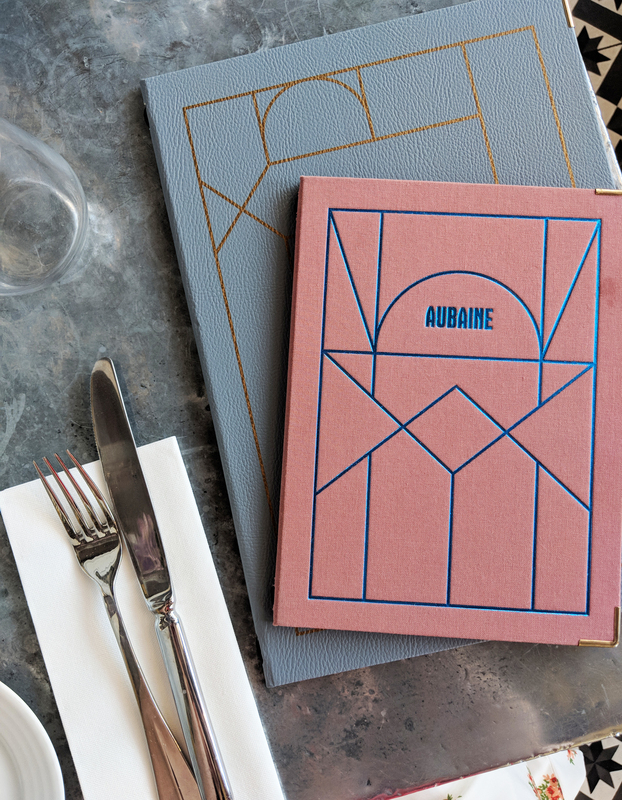 Have you been to Aubaine before? If so, what have you tried on the menu? You can view all of my ‘London Eats‘ reviews here.